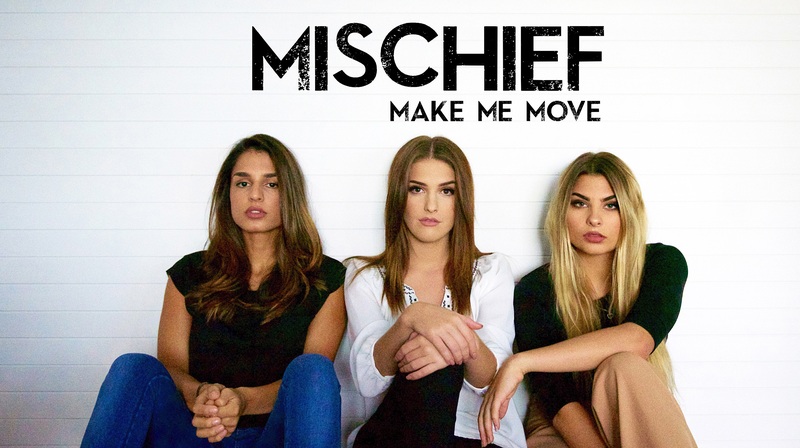 Aussie girl group Mischief might only have been part of the Australian musical landscape for little more than a year, but with their new single ‘Make Me Move’, delivered to Australian media this morning, they proved they’re evolving quickly. After undergoing a nip and tuck over the summer period (aka losing a member), the three piece (l-r Eesha, Rachael & Chevonne) is soldiering on, teaming up with hitmakers MSquared (Michael DeLorenzis and Michael Paynter) in Melbourne for the new track that delivers an edgier new, more grown-up sound. Restrained vocals from the trio head the verses in the EDM number, while the driving bassline, along with the MSquared boys’ smooth production, keep things moving elsewhere. The single is doing the rounds at media from this morning, but will drop digitally on Wednesday.